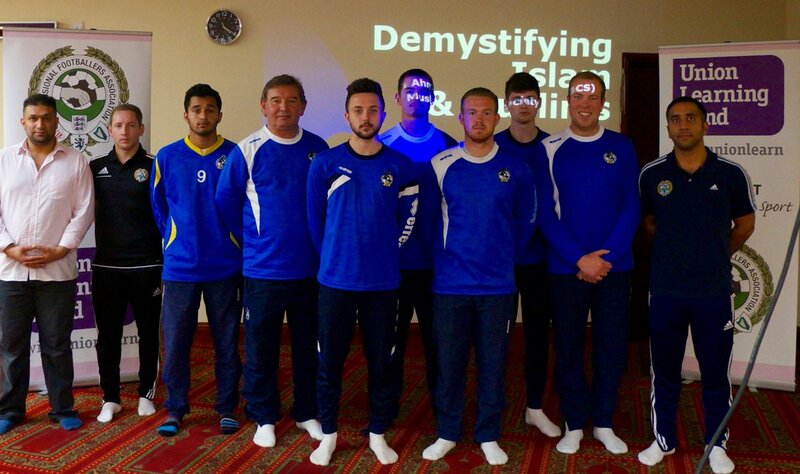 Staff at Bristol Rovers FC Community Trust had a visit of the Shah Jalal Jame Mosque in Bristol. This was part of The PFA’s Unionlearn ‘Achievement Through Sport’ programme to build new links with the Muslim community. The visit follows on from the partnership that PFA/ULF Project Worker Riz Rehman forged between Bristol Rovers FC Community Trust (BRFCCST) and the Bristol Muslim Cultural Society (BMCS) in August 2015. Bristol Rovers staff attended the BMCS annual Islamic Fayre, which attracts over 12,000 visitors, and introducing them to a variety of facilities, services and career opportunities available locally and nationally. BRFCCST staff supported the day with its volunteers to help coordinate the day.